A big day of fun! 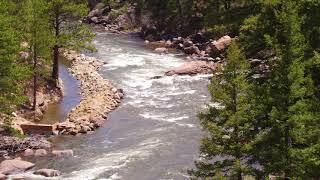 Begin with a leisurely start at noon on our Browns Canyon Express whitewater rafting trip, a 3/4 day adventure through one of the most beautiful river canyons in the country. 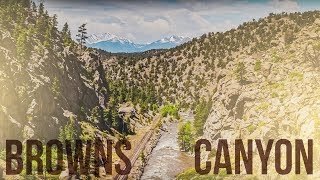 Browns Canyon is a National Monument that runs through a remote canyon with no roads and little access other than the river. Your stress will dissolve as you disconnect from the business of life. You’ll be challenged by the intermediate-family whitewater rapids as you gape at the stunning scenery of this remote, granite canyon. 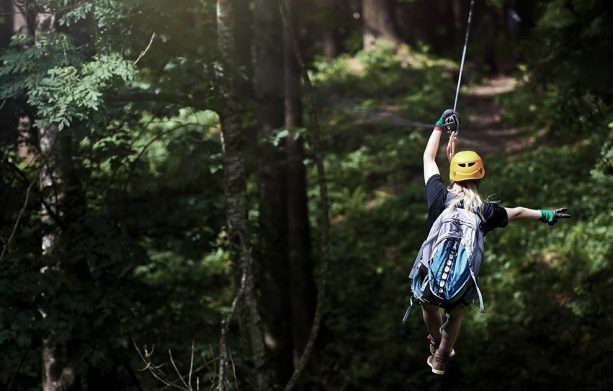 Following your rafting trip, you’ll return to our Granite Outpost around 5 pm to hit our Mountaintop zipline course and fly through the trees overlooking the Arkansas River Valley. Seven lines – including a huge 900-foot rush – make your heart leap over and over. At the end of your double adventure, we’ll feed you a hot and hearty dinner to finish your evening. You’ll sleep well after this day of fresh air, mountain views and heart-racing fun! What could be better than a hot, delicious dinner made for you after a day of adventure in the Arkansas River Valley? Maybe the fact that you won’t have any hidden charges added on the morning of your trip. That’s right, AVA Rafting & Zipline will provide all the equipment you’ll need for the Browns Canyon Express + Dinner Zipline package, including free splash jackets and wetsuits for rafting. Trip runs 7 days a week, 12:00PM. 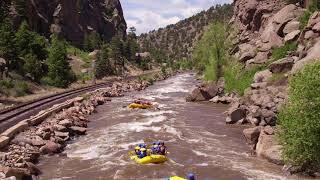 "It will be a lasting memory of our family"
We booked a ½ day zip line and ½ white water rafting. It will be a lasting memory of our family. 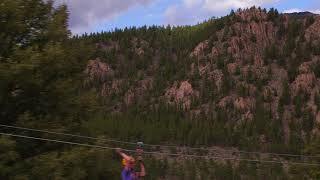 Mike and Mikey were are zip lining guides. They were professional and fun, caring for each individual at the level. Val was our guide on the river. She knows her stuff. We felt very confident with her as our guide. AVA had professional employees that were helpful and fun. By the way, the fajitas were good too.